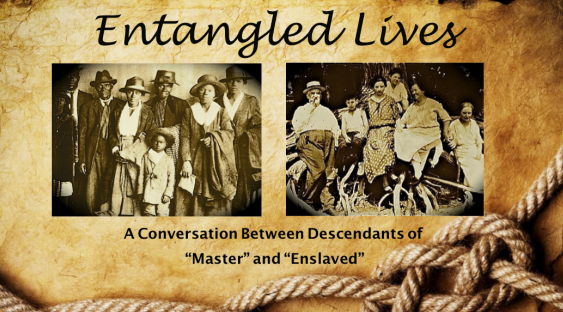 Besides showing where our respective families fit into the larger US historical picture, our presentation includes discussion of our struggles with each other, including places where the wounds of “race” rose to the surface. In our presentation we begin our "conversation" at one of these tight points, by reading poetry we wrote to each other some years ago when communication had broken down between us. “Wasteland,” the beginning of a longer poetry exchange between us, was written by Pam at the end of a long day of working together. On the way back to Ann’s Vashon Island home on the ferry, Pam became irritated and withdrawn. Ann said, “I feel like you are angry at me… Okay, I’ll leave you alone for awhile.” In the next hour, "Wasteland" forced itself out of Pam. When Pam read the poem at Ann’s behest later that day, Ann read it and read it again and wondered how she should take this. On the one hand she understood how Pam could feel this way. On the other, she needed to know if this was personal. Was Pam writing this to her as a 'white person' or to her as Ann. A wrangle ensued. Then Ann wrote "On Being a White USian #1".. I am not amused by pain. like your ancestors might have treated mine? I’ve let go the rage. Why must any part of this feel good? To every person, their conscience. an opportunity lush with hope. This Is It. My only me. Should flee for my life. * Person from the United States. More accurate than "American," which could refer to Chileans, Guatemalans, and British Columbians, as well. I believe we need to quit claiming "American" as our exclusive identifier.